Motorola Moto Z and Moto Z Force owners can expect to see the Android 8.0 Oreo begin its official rollout for their devices in a few weeks. Motorola is sending out notifications regarding the availability of Android 8.0 Oreo update to the Moto Z/Droid and Moto Z Force/Droid users. If you own a Moto Z or Z Force you should have received the notification with an image revealing Motorola's plan. 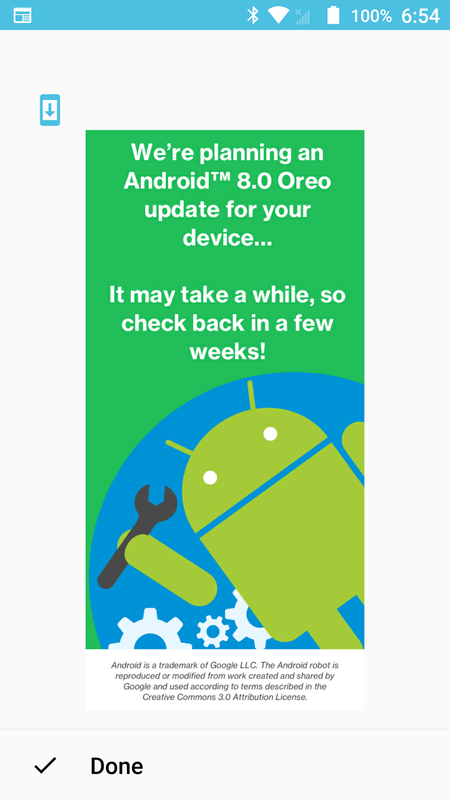 We're planning an Android 8.0 Oreo update for your device... It may take a while, so check back in a few weeks! Android 8.0 Oreo update include new Settings and Notification panel UI, Picture in Picture (PIP), Adaptive icons, Autofill, Notification timeout, Motorola might also add several new features to the latest software update. The Android 8.0 Oreo update for the Moto Smartphones may also bring new Moto Key application that let's you securely save passwords, Moto Alexa, and new Moto Live Stream. Motorola has already started testing Android 8.0 Oreo update for the Moto Z, Moto Z Force Moto Z Play, and Moto Z2 Play. It seems that the Moto Z and Z Force will be the first among the above to get Android Oreo. Stay tuned to our Facebook and Twitter page to get the first News.